American Express is closing Travel Money Now (travelmoneynow.com), its foreign currency website, on 1st March. It seems highly likely that the Avios-earning version (travelmoneynow.com/avios) will close on the same date. On the face of it, this is not a great loss. 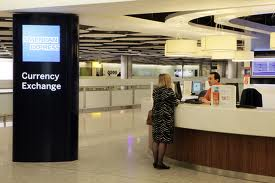 A couple of years ago, American Express lost its contract at Heathrow. This meant that it was left with a grand total of one foreign exchange counter in the whole country, at Birmingham International. You could, via the website, still order currency for home delivery but that is not exactly a niche with no competition. However, as Head for Points has pointed out on a regular basis, there IS something unique about Travel Money Now. As long as you buy your currency using an American Express issued Amex card (eg BA, BA Premium Plus, SPG, Nectar, Gold, Platinum etc), the transaction is treated as a purchase. The 2nd point made Travel Money Now exceedingly competitive. When you factored in the value of, say, 1.5 Avios per £1 for charging currency to your BA Premium Plus, it was good value. on a credit card, eg the BA Amex, the amount of currency you can buy is restricted to your ‘cash advance limit’ printed on the front of your statement. This is usually 20% of your credit limit. Travel Money Now was a useful little trick to have in your points-earning arsenal, however, and it is a shame that it is going away. It is not clear, at this stage, who will replace Amex as BA’s foreign currency partner. I would imagine that there will finally be one integrated solution covering both pre-ordering and ‘at airport’ purchases. It is possible, given that there was a short trial last Summer, that Travelex will be back on the scene. So am I right in saying that after this month, by buying euros on an american express, it will no longer count towards your minimum spend and you will also not receive any membership rewards/avios….?? On Wednesday, just before the bonus Avios offer expired, I ordered and have already received the BA PP Amex + supp card. So I now need to spend £3000 in 3 months. However I am now mourning the loss of the 3V prepaid cards – which could be purchased with Amex, earned extra Tesco CC points, and could be used to pay my EdF gas/elec, Thames Water and Sky TV and were a really useful way of ensuring a spending threshold was met. Have just realised that I can’t pay any of those three bills directly on Amex, so will have to find other ways to meet the threshold. I’ve got holidays to France, Denmark, Japan and South Korea coming up so may have to use travelmoneynow.com to purchase currency for these trips. However, Avios earning and spending threshold aside, I imagine that the most value for money way would be to use my Halifax Equity card – is this a correct assumption or not? Loads of info on HFP precisely on this if you know how to search it. If you used the Visa + fee cards @ Tesco, you end up buying Avios @ 0.5p each, not so bad – but combine with a conditional spend coupon (eg trolley £60, gives you £10 discount) and the Avios become cheaper. Or investigate Paypoint – you can use your Amex card to load money through Paypoint to pay all sorts of things https://paypoint.com/en-gb/consumers/service-directory#pick-up-more incl many gas & elec cos.
On council tax, I guess my council is typical. If I over-pay, ie pay in £3000 through Paypoint, when the bill is about £1800, they’ll refund me the excess automatically in a couple of months. Or sooner if I ask. Paid back in a cheque. that’s appalling, really. So we pay £1800/ year for the streetlights, the people who pick up dog crap, I guess the police & social services, plus the dustbin men. £1800 is cheap as chips! My CT is way more than that. Indeed. Sod helping others when you can just help yourself. Who needs police, fire, youth services, social care, parks, leisure facilities, roads, housing for homeless, street cleaning, planning departments and, among other things, fair elections. If the number of people employed doing those things were halved, I’d be a lot happier. No need to pay them so much or give them such a generous pension – most of the work is donkey work. Same could be said for bankers and their massive pay packets and pensions (far in excess of these public sector workers) – yet we bailed them out so it cost the taxpayer just as much! That’s not entirely true, and I should know as I was working in it at the time! There was, for example, no excuse for not taking complete state control of RBS (it was, after all, bankrupt without state support). For no sensible reason, the deal was structured so that the existing shareholders retained substantial value, value which should have been taken by the state. Agreed. Also frustrating to have read all the rhetoric about having to pay bankers well lest we risk losing them and comparing it to recent approaches to junior doctor pay which risks losing them to the Antipodes. I just tried to top up a new card via PP but the till wouldn’t allow me to pay using a CC – and apparently said “this card can only be topped up with cash”… Has anyone found this before or has my local shop had a system update and won’t take any PP by card? My council tax bill says that PayPoint payments are only accepted for cash. When I tried a local co-op they stuck to that rule but when I tried a co-op in another area (by where I work) they accepted the Amex no problem! I’ve done it a number of times now but haven’t tried overpaying as per Harry’s comment. May be tempted to try that this year…will take a few trips as there’s a £200 limit each transaction if I remember correctly. You can pay more than £200 – my council tax is £271 – as long as you tell them to do the £200 first then the £71 it goes through as one payment transaction but I get two receipts for £200 & £71. One time they did £71 first then £200 and it rejected at pay point but went through Amex – took days to sort it out – so now I always tell the person to do the £200 first! I don’t overpay but I pay my mother-in-laws council tax too and she just pays me back! The shop I use has been quite happy to take AMEX to pay council tax, etc but I tried to load a different card and the till rejected my credit cards and said it needed to be cash… wasn’t sure if their IT has had an update or if particular card types can have additional restrictions put on them…. Hi Harry. How do you get to 0.5ppa? On a £50 Visa card I believe the fee is £3.95 but yields 150 CC = 360 avios + spend on card (e.g. BAPP) 75 avios = 435 avios. What have I missed out? Or are you on the 800 grandfathered rate? sorry I was probably factoring in the cakes, not applicable now of course. Next Xmas prob. Till then. That’s the tesco dec 15 magazine 100 cc points coupon for spending £20 on GC named cake voucher due to the mag front cover having a xmas cake on the front if you didn’t know what cake was. Does money ‘loaded’ onto an Amex and spent via pay point get treated as a purchase then for miles/points and minimum spends ? My Paypoint is in a Co-Op – so the Amex transaction goes through as a ‘shop’ purchase, not a cash advance. Correct – I have been doing at least £650 a month for several years into my Barclays account. I tell them I use sterling travelers cheques for buying and selling cars. The cheques clear like a regular cheque. AMEX is insisting today that ordering currency has always been treated as a cash advance, which is very disappointing as I’d just ordered quite a bit of currency and travelers Cheques on my BA Platinum card, which I’d hoped would help me hit my sign up bonus. Are you seriously telling me you trust the Amex call centre more than HFP?! As long as you went off travelmoneynow it will be fine. Newbie !! Just ordered FX via travelmoneynow/avios using my 1 week old BA PP Amex ( thanks Robb ) . I attempted to do £750 worth of $ but got kicked back, sent a secure email to Amex who advised me to : 1. Order slightly lower amount ( £650ish ) and 2. This will be treated as a cash advance……. ( yes I have read above posts ). Seems to have worked well but proof in my statement ( Amex and Avios ) !! Do you mind me asking if £650 worked out to be 20% of your credit limit? I just got my BAPP today and was hoping to buy £1000 on it. I had luck ordering 2 transactions of £650 in succession the other day and to the best of my knowledge that exceeds 20% of my credit limit (not totally sure it was the PRG charge card). Just to add, I received my SPG card and ordered £600 worth of dollars that day. This was more than the 20% of my credit limit but went through with no problems. ” You may withdraw up to £650 everyday while in UK and up to £950 while travelling, maximum of 20% of pre assigned Credit Limit”. Thanks all. I tried buying £1020 then £950 then £750 but all failed. Got it to work with £650. This is much less than 20% of my credit limit so it must be the minimum of the two. I’ve never been able to find a link between card limits, 20% and the £650 rule! Sometimes it works, and sometimes it doesn’t! – It doesn’t work at all for my brother and his limit is higher than mine! AMEX BA customer services told me all BA cards have a limit of £650 or 20% of your limit whatever is lower. However, I’ve purchased £700 or £800 in one go before! using https://www.travelmoneynow.com/britishairways/uk to get UK Sterling Travellers Cheques it is charging me several £ in commission. Is this correct ? So people pay to get the cheques and then pay to redeem them at their bank too ? Yes, there is a 1.5% fee on £ travellers cheques. How do you think they cover their costs?! The transaction itself does not incur any cash advance fees however and is treated as a purchase by Amex. As an update, I paid in some sterling travellers cheques into the Metro Bank on Cheapside, London this morning without a hitch.